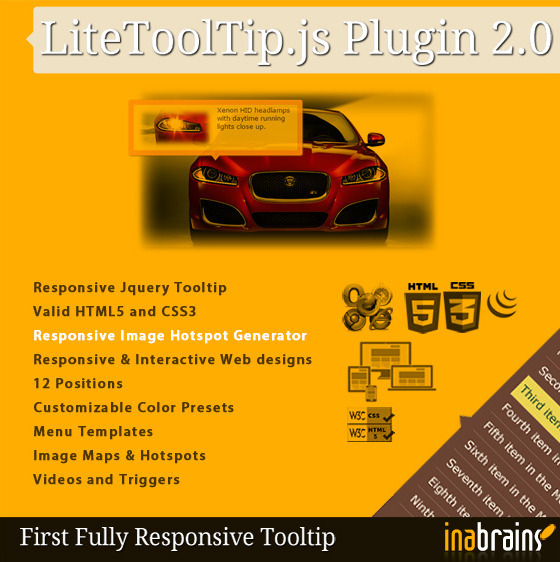 We are really glad to announce the v2.0 of our first Responsive LiteTooltip.js WordPress Plugin. Tested on WordPress 3.9 also. SKU: 429-0104. Category: WordPress Plugins. We are really glad to announce the v2.0 of our first Responsive LiteTooltip.js WordPress Plugin. Tested on WordPress 3.9 also. Now you can use inbuilt Shortcode generator tool and Responsive Image Hotspot generator tool for creating the tooltips and image hotspot/image map tooltips with few mouse clicks.